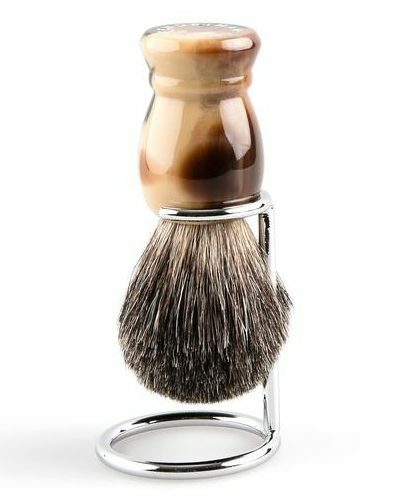 Whether you’ve had your badger shaving brush for a few weeks or a few years, it’s essential that it be regularly, and properly, maintained. 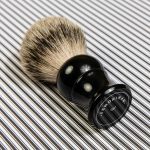 Keeping your badger brush clean and well-maintained ensures you’ll get the most out of your brush for years to come. It also keeps if free of residue and unwanted bacteria. Avoid extremely hot temperatures. Brushes should be cleaned with warm water. 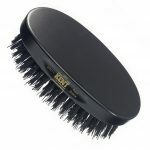 Use a dap of hair shampoo to lather the bristles (brush down to the handle and out to the tips). Rinse lather with warm water. Squeeze bristles to gently to remove the excess moisture. Follow the above steps using conditioner. Gentle shake and squeeze the excess water out of the brush. Hang to dry or let air dry. To help strip away the substances that may be ruining your badger brush’s performance, a brush cleaning with either vinegar or borax will work. A diluted solution of vinegar or borax is mixed in a non-reactive cup or glass, and the just-shampooed brush is dipped in the solution. After a brief soak, the solution is thoroughly rinsed out and the brush is dried following the usual steps. The vinegar to water ratio should be about 20% vinegar to 80% water. If borax is used, try a tablespoon in a cup of water. Drop the brush in the vinegar or borax solution for a few minutes, swirling several times. 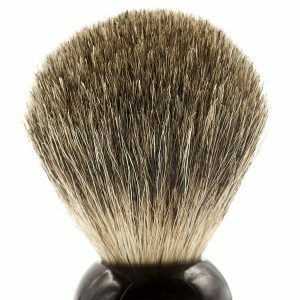 Once you’ve restored your brush back to an almost original state, keep up with regular maintenance to extend the brush’s longevity and improve its performance. 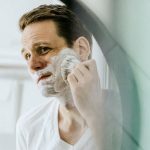 Plan a more intensive shaving brush cleaning every three to six months, or after a shaving product mishap. 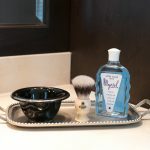 Following these tips will keep your badger beauty at the ready for your shaving pleasure. Learn to love again. Gentle shake and squeeze the excess hair out of the brush. ???? hmmm did you mean to say water ? Thanks Andy! It’s been corrected.